The NARS Cosmetics Pro Prime Smudge Proof Eyeshadow Base can be used to create a flawless canvas on which to base your day or evening make-up. It keeps both powder and cream shadows in place and looking perfect, from morning to night. If your eye make-up tends to end up at the corner of your eyes at the end of a long day, then you need this wonder prime from NARS Cosmetics. 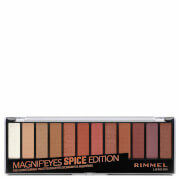 It maximises the intensity and longevity of eyeshadow colours by gently transforming into a solid matte finish. It is lightweight but robust, and suitable for use on all skin types. Never had a better eye-shadow base! Only need a very small amount and my make-up stay 16 hours! Totally transparent and it doesn't feel drying or sticky on eyelids. What can I say? I have an enormous collection of (Nars) eye shadows which I will now actually wear - even the most shimmery shadow stays put all day. After reading so many rave reviews I really wanted to like this product. Sadly didn't live up to the hype. Difficult to apply, and unsure how much to actually use. Is it supposed to be white or clear when applied? The sponge picked up loads of product sometimes and hardly any other times. Made shadow very clingy, too clingy IMO. Went very patchy and hard to apply. Very good product Easy to use and good for traveling. 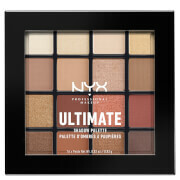 This is the first eyeshadow base that actually works for me and my very oily lids. Have tried several others before, like the Urban Decay one, but none of them did what I had hoped for. So now I'm really happy that I spent my money on this one. I definitely recommend it (despite that it's quite pricey)! This stuff is fantastic! 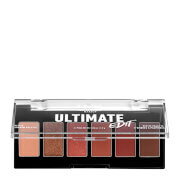 I was using Urban Decay Primer Potion before purchasing this one (I really liked that one) but due to it not being available on this site or really anywhere else I was forced to look for something else. After reading a couple of reviews on tons of different primers I finally decided on this and I'm so glad I did! This is even better than UD primer potion, it works so incredibly well with powder and cream shadows, it makes creams almost hard to remove haha and it just doesn't come off (unless you want it to, and then it takes a lot of effort lol). I just love this stuff and it's not even that much more expensive than the UD, like five bucks or something. I suggest anyone who's looking for a new eyeprimer go for this one, it's amazing! You won't regret it! I have very oily eyelids and this is the best eye primer I have ever tried, it keeps everything in place for the longest and yet is very thin and not heavy at all. For reference, I like the texture and feel of the Too Faced shadow insurance but it does not last that long on me, and the Urban Decay primer does do a good job (even though the Nars one is still more effective) but can feel a bit cakey sometimes. I hope this helps! Firstly I want to say that you only need a small amount of this product, should you too much it will decrease the wear time. I like this eye primer and I personally find the doe-foot applicator more handy that those squeezy tubes you often get, however I have to say that it does not work better than my other staple eye primer (UDPP Original). I would still rather repurchase the UD one since it contains way more product (my Nars one is running low after only a couple of months) and I think the results are quite comparable. (Personally I tend to put a cream shadow on top a lot of the time to really maximise the longevity.) Still I see why people love this product and I would recommend it. This is simply the best eyeshadow primer.